Learn how to build a sniper tower and use riflemen to destroy the evil Blackguard. 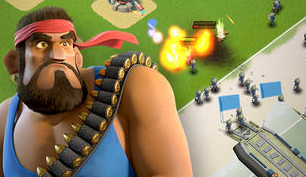 Boom Beach is all about strengthening your defenses to repel invaders and having the best virtual troops on the battlefield. We'll go in-depth throughout the week, but for now, here's the intro to get you acquainted with the finer points of the game. The first video details building a sniper tower and placing riflemen. The second video, meanwhile, goes into upgrades, namely gunboats and residences.